Berlin Centre of Avant-Garde Art, Founded by Herwarth Walden. The most important centre of early 20th-century avant garde art in Germany, the Sturm Gallery in Berlin (1912-32) promoted and exhibited works by a wide range of expressionist painters, notably those involved in artist groups such as Die Brucke (1905-13) and Der Blaue Reiter (1911-14). The Sturm art gallery was founded and run by the left-wing German art critic and expert Herwarth Walden, who also founded the Sturm magazine (1910-32) which rapidly became the mouthpiece for modern art in Berlin. Both the gallery and magazine were especially instrumental in championing German Expressionism. The Sturm centre also established its own art school, which lasted from 1916 to 1932. All activities ceased in 1932 when Herwarth Walden emigrated to the USSR, due to the rise of Nazism and their threatened ban on Degenerate Art, which was duly implemented by the Culture Ministry (Reichskulturkammer) in 1933. (See also Nazi art.) The Sturm Gallery attracted modern artists from all over Europe. It also attracted dealers like Ambroise Vollard (1866-1939), Daniel-Henri Kahnweiler (1884-1979), and Paul Guillaume (1891-1934), as well as major collectors like Solomon R Guggenheim (1861-1949), Baroness Hilla Rebay von Ehrenweisen (1890-1967), and Albert C Barnes (1872-1951). The Sturm gallery stimulated and was itself a reflection of the mood of intense creativity, which swept Europe during the first three decades of the 20th century. See also: Berlin Guggenheim. Born Georg Lewin in Berlin, Herwarth Walden (18781941) studied music, founded at least one cultural society, wrote literary and theatrical reviews for a number of German periodicals, and was the author of several novels and plays. However his most influential contribution to the arts world was his Sturm Gallery and magazine. In Sturm magazine, launched in 1910, he promoted the aesthetics of Expressionism, as well as his preferred theory of abstract art, and gave assistance to those exponents of Post-Impressionism, Expressionism, Cubism, and other abstract painters who had been rejected by the official arts bodies. Walden was a particular champion of contemporary German groups like the Dresden-based Die Brucke (1905-13), and Munich-based Der Blaue Reiter (1911-14). In addition, he reproduced artists' portfolios, including graphic art and woodcuts by members of Die Brucke, such as the Austrian painter Oskar Kokoschka (1886-1980). He also published essays by artists, such as the Kandinsky Album. Originally a weekly publication, the magazine went monthly in 1914, quarterly in 1924, and closed finally in 1932 - outlasting its main rival Die Aktion (The Action) the expressionist literary magazine, edited by Franz Pfemfert in Berlin-Wilmersdorf. In 1912, to celebrate the 100th edition of Sturm Magazine, Walden opened the Sturm Gallery, with the aim of making it a focus for new, avant-garde art from Moscow to Madrid. Its inaugural art exhibition of March 1912, was the Blaue Reiter Show which had travelled from the Moderne Galerie Thannhauser, in Munich. It also included a number of canvases by Fauvist painters. It was followed by an exhibition of Italian Futurism, the first of its kind in Germany. But Sturm's most important show was the First German Salon d'Automne Exhibition, held at the gallery in 1913. Embracing the entire spectrum of avant-garde painting and sculpture, it featured over 350 works by over eighty 20th century painters representing 12 countries, and, creatively speaking, is customarily ranked alongside the landmark Post-Impressionist shows organized by Roger Fry in 1910 and 1912. The Sturm Gallery staged more than a hundred exhibitions: painters sponsored by the gallery during its 13-year life-span include: the Norwegian neurotic Edvard Munch (1863-1944), the Russian innovator Wassily Kandinsky (1866-1944), the US modernist Marsden Hartley (1877-1943), the 'gentle' German expressionist August Macke (1887-1914), the Swiss master Paul Klee (1879-1940), the Cubists Georges Braque (1882-1963) and Pablo Picasso (1881-1973), the American painter Albert Bloch (1881-1961), the Futurist Gino Severini (1883-1966), the German graphic artist Ludwig Meidner (1884-1966), the founder of Orphism, Robert Delaunay (1885-1941), the Russian master Marc Chagall (1887-1985), the collage expert and Dadaist Kurt Schwitters (1887-1948), the Dada photomontage artist John Heartfield (Helmut Herzfeld) (1891-1968), the Surrealist painter and abstract sculptor Jean Arp (1888-1966), and the Hungarian Bauhaus instructor Laszlo Moholy-Nagy (1895-1946). For more about Sturm's links with early expressionism in Germany, see also: History of Expressionist Painting (c.1880-1930). 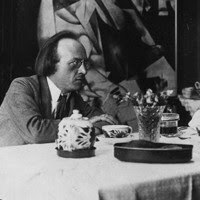 After the First World War, Walden expanded into Sturmabende - educational lectures and workshops on modern art - and Die Sturmbuhne - an expressionist theatre. Other spin-offs included the Sturmbucher art books, as well as postcards featuring art by Sturm artists like Franz Marc, August Macke, Georg Schrimpf, Gabriele Münter, Rudolf Bauer, Kandinsky, Kokoschka, and others. Despite these innovations, however, the Sturm Gallery went into decline as a result of mounting social conflict and economic depression, and closed in 1925. Walden was something of an expressionist in his private life. From 1901 to 1911 he was married to the poet Else Lasker-Schuler. It was she who gave him the pseudonym "Herwarth Walden", after Henry Thoreau's novel Life in the Woods (1854). In 1912, he divorced Lasker-Schüler and married the Swedish painter Nell Roslund. In 1924, this second marriage also ended in divorce, as did a third marriage in 1932. Throughout this whole period, in addition to running his gallery and magazine, Walden wrote three novels, eight plays, and hundreds of essays, reviews and other articles. An intellectual with strong left-wing sympathies, he joined the Communist party in 1919. In 1932, in response to the economic depression and the rise of Hitler's National Socialism, Walden emigrated to the Soviet Union, where he worked as a teacher of German in Moscow, before disappearing into the Gulag in 1938. He is reported to have died in 1941. Contemporary art in Germany, during the lifetime of Der Sturm Gallery and Magazine was dominated by the Expressionist groups Die Brucke and Der Blaue Reiter. Die Brucke included artists like Karl Schmidt-Rottluff (1884-1976), Ernst Ludwig Kirchner (1880-1938), Erich Heckel (1883-1970), Emil Nolde (1867-1956), Max Pechstein (1881-1955), Akseli Gallen-Kallela (1865-1931), Kees van Dongen (1877-1968) and Otto Mueller (1874-1930). Der Blaue Reiter comprised a core of Wassily Kandinsky (1866-1944), Franz Marc (1880-1916), Paul Klee (1879-1940), August Macke (1887-1914), and the 'Russian Matisse' - Alexei von Jawlensky (1864-1941). As well painting and sculpture, German Expressionists were noted for their woodcuts, fabric designs and poster art. Expressionism was also affected by the work of Paul Gauguin (1848-1903), as well as Primitive art - African and Oceanic art - and Fauvist colourism. Other influences on the German avant-garde included abstract art movements like Cubism and Futurism, and styles like Dada and Surrealism, as well as the 1920s expressionist tendency Die Neue Sachlichkeit. Of course the greatest influence on the early 20th century expressionist movement in Germany, was the general nervous tension produced by war, social conflict and the economic depression, all of which stimulated the emergence of powerful pictures, sculptures and prints, captured so well on the walls of the Sturm Gallery and on the pages of Sturm Magazine.  For information about modernist German painting and sculpture, see: Homepage.